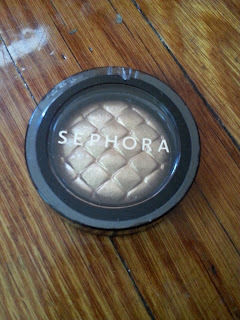 During the triple points promotion, Sephora also had an additional special offer for VIBs that I could not pass up! 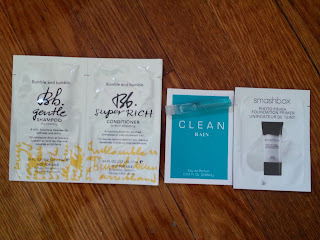 VIBs could receive a bag full of 9 samples with any online $35 purchase!! 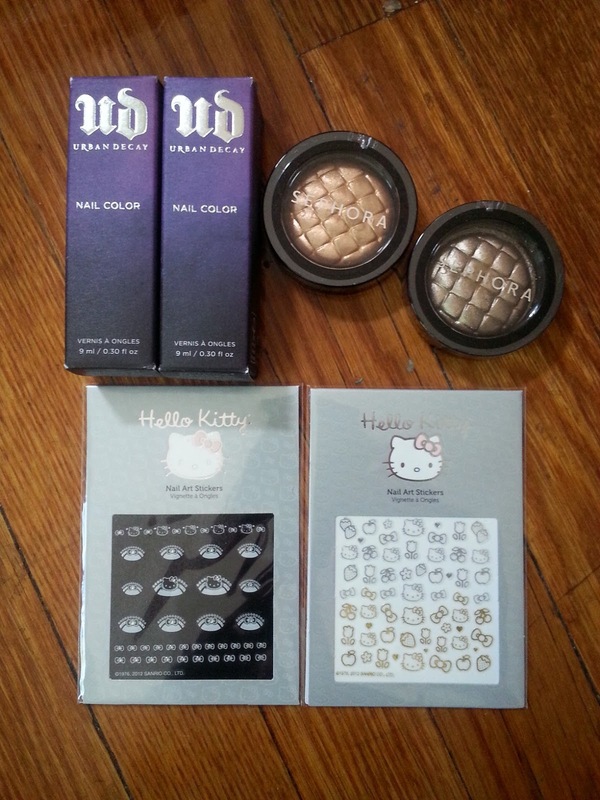 How could I not make a third purchase when I could get so many samples on top of scoring triple points?! 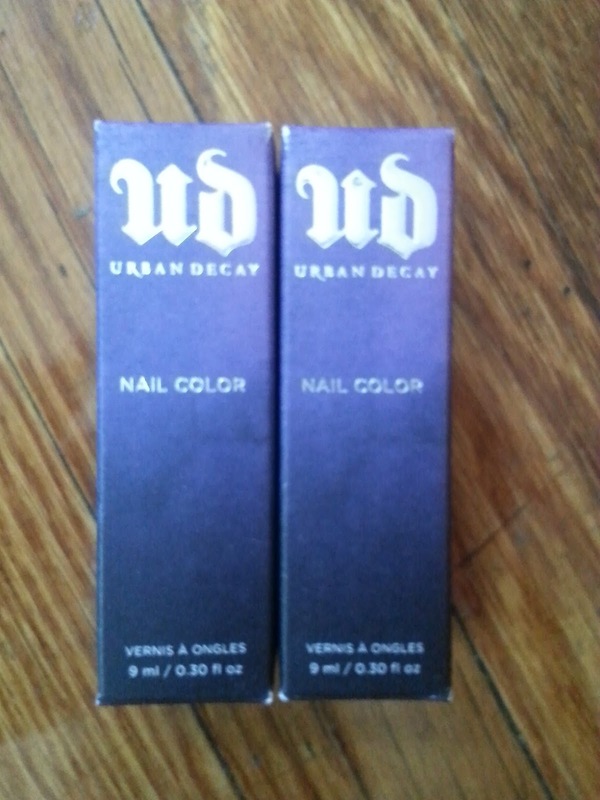 During my first visit to an Ulta Beauty store a few weeks ago, I tested Addiction and absolutely loved the color! 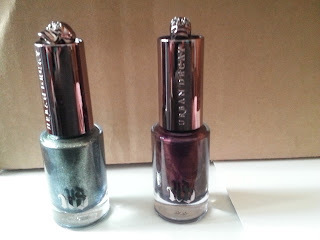 I had only tried it out on one nail and for the rest of the day could not stop looking at it-I knew I'd want to wear the shade on all my fingers!! 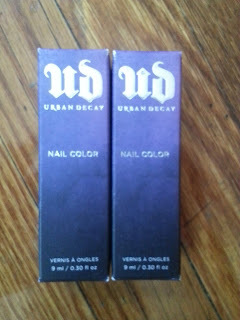 This is the most I've ever spent per bottle of nail polish, but I just had to have these limited-edition bottles! I love the packaging-I just love skulls!! And Addiction is so gorgeous that I expect to love Vice just as much! 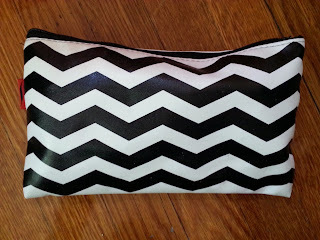 Retail $16.00 on sale for $7.00! I just love the quilted design on these! And after seeing swatches of this shade online, I had to purchase this in the peach. 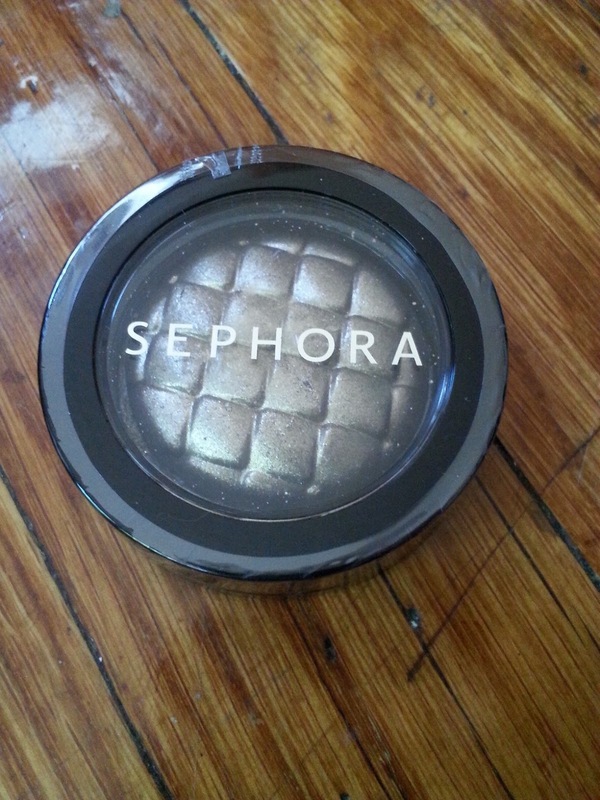 It's so pretty that I'd love to wear it myself, but I think this shade would look better on my sister Erica!! I'm also giving this one to Erica for her birthday since I think this taupe would be perfect for her and I just purchased Taupe #6 for myself (post to follow). Retail $4.00 on sale for $3.00! These are too cute, so I also picked these up to be an addition to her birthday gift! 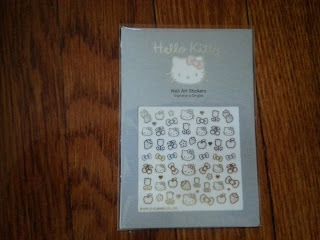 I had already purchased these for myself, but had to pick up another for Erica, a big Hello Kitty fan! 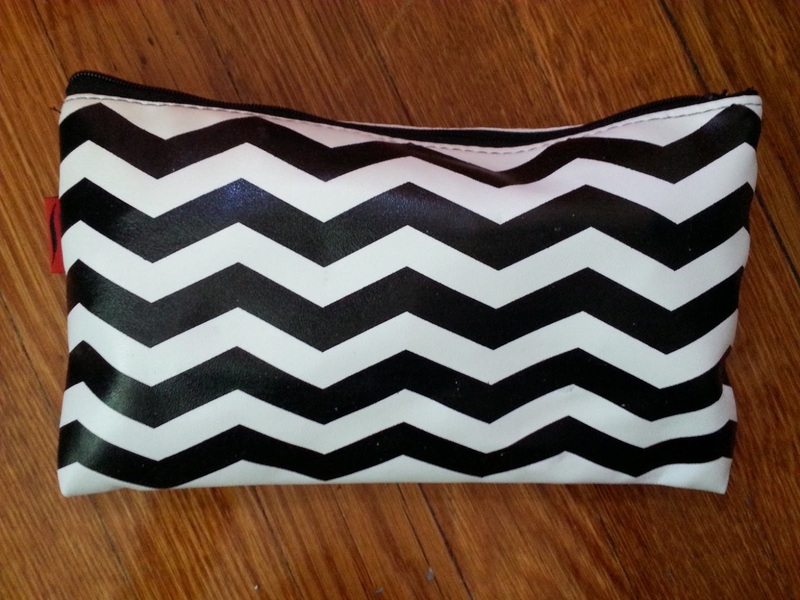 The bag is a fairly large and I like the black and white chevron design! Even though this bag isn't 100% as it was pictured, it is amazing!! While I was supposed to get 9 samples, I somehow ended up with 10. 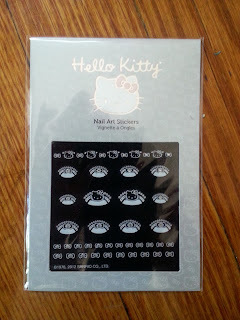 Yay, freebies!! I didn't receive the exact samples that were shown during the promotion-a few got swapped out with others as I read happened to a lot of other VIBs. I got the Bare Minerals lip gloss, Tokyomilk Handcreme, L'Occitane Cleansing And Softening Shower Oil With Almond Oil (1.18 fl. oz. ), and Boscia Luminizing Black Mask instead of the Buxom Full-On Lip Polish Dolly (0.07 oz), L'Occitane Shea Butter Hand Cream (0.34 oz), and First Aid Beauty Face Cleanser (1 oz) advertised (I'm not 100% sure which was the extra goodie). While the substitutions bothered some people, I'm okay with it since I feel they made good substitutions. 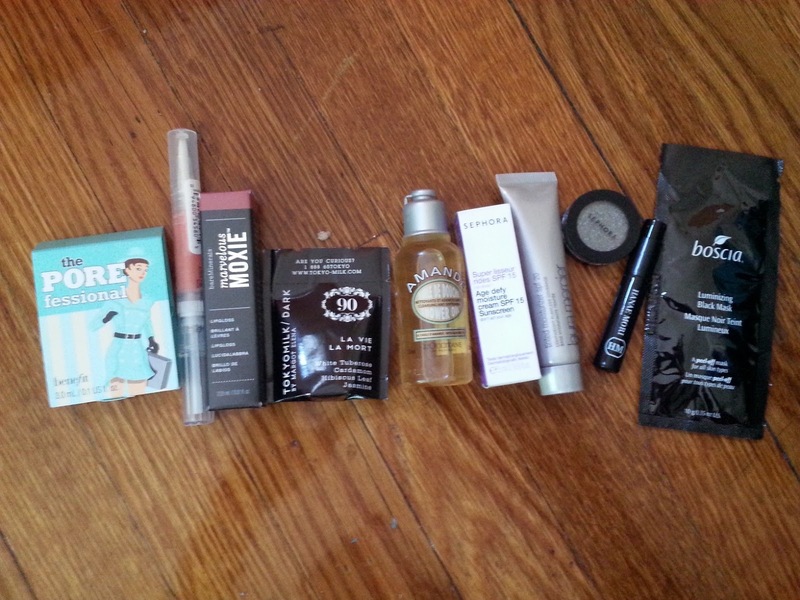 Plus Sephora didn't have to offer us an awesome bag full of samples instead of the usual one deluxe sample, so anytime I can get 9 samples in a cute bag over one sample is a win for me!! I had already received this Bumble and bumble sample 2 purchases ago, but I chose it again since I wasn't interested in many of the other samples offered this time around and who couldn't use more shampoo? I chose the Rain sample because I love having fragrance vials to store in my handbag, but I have yet to try this one since I keep reaching for my Chloe sample from my last purchase (I like the scent and prefer spray top vials). And I'm happy to finally get the chance to try out this Smashbox primer even if it's a small size!! Taking a closer look at my order, I now realize that I purchased everything in pairs! Do you ever buy things in twos? At least most of my order was for gifts for my sister's birthday seeing as I've been splurging a lot for myself lately! !